The E. A. Arnim Archives and Museum was established in 1988 and has grown to be one of the largest rural museums in Central Texas. Devoted to preserving the history and cultural heritage of the area, the museum’s exhibits illustrate the settlement, early history and continuing development of Flatonia and the surrounding communities. The ground floor of the main building is a showcase of goods and furnishings from early area homes, businesses, clubs, schools and churches. Historical photographs, letters, documents, and advertising memorabilia throughout the exhibits add an extra layer of detail to the story of Flatonia. 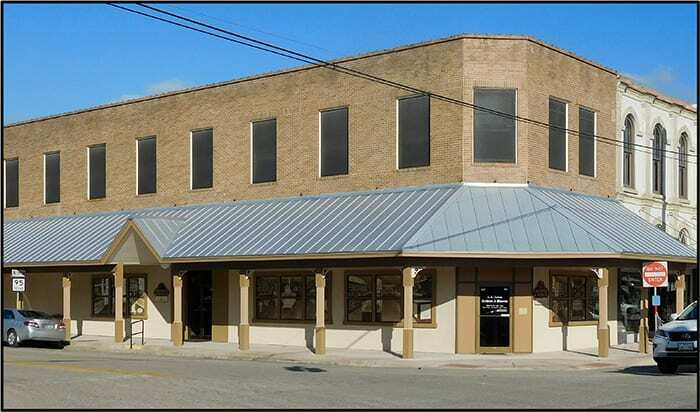 The second floor houses the Flatonia area Veterans Museum with displays of uniforms, flags, weapons, war memorabilia and a special “Wall of Honor” with more than 300 photos of local veterans in uniform from World War I to the present day. A separate barn contains a country life collection with everything from a complete farm kitchen to a wide array of vehicles and farm implements spanning decades of local agricultural use. Adjacent to the barn, a Texas Natives Garden showcases the use of indigenous wildflowers, shrubs, trees and grasses in creating a water-wise and beautiful landscaped pocket park. The museum is open on Thursdays and Fridays from 1pm to 4pm and Saturdays from 10am to noon and 1pm to 3pm, or by appointment (call 361-865-3455, or email arnimmuseum@att.net). Please visit our website at arnimmuseum.org for more information.